Before there was a book, there was a game. 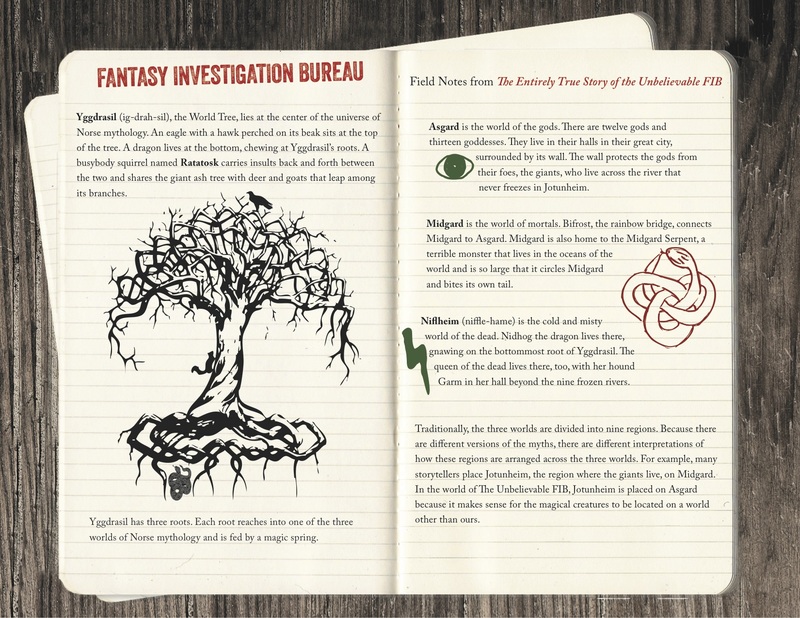 An afterschool game in which kids could get together with some friends, join the Fantasy Investigation Bureau, act out a story and solve a mystery. One of the stories, drawn from Norse mythology, featured Ratatosk, an insult-wielding squirrel. Yeah, I know. Sounds like fun, huh? 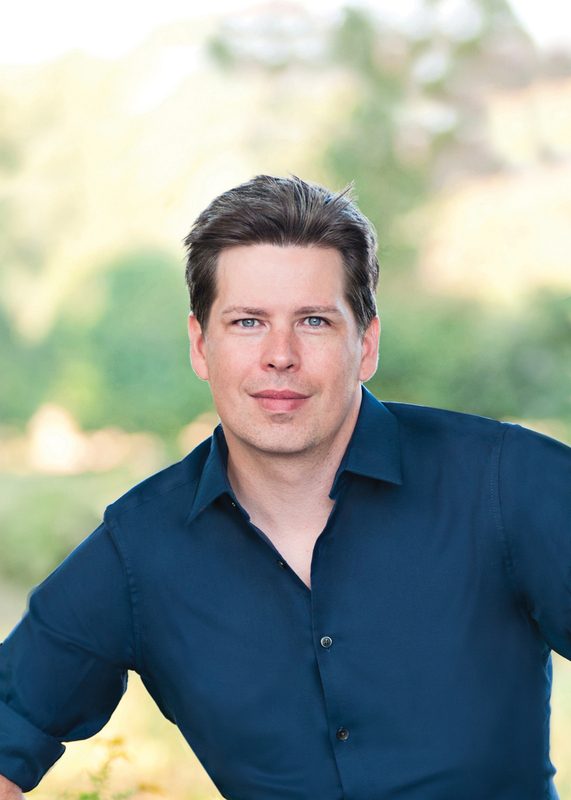 Later, when the creator of these interactive story games, Adam Shaughnessy, started thinking about writing a book, he kept thinking about that story. It had a lot going for it—a fabulous world, suspense and intrigue and, of course, the afore-mentioned squirrel. Admit it, writing lines for a squirrel who spends his days running up and down an enormous tree shuttling insults between an eagle at the top and a dragon at the bottom is almost irresistible. 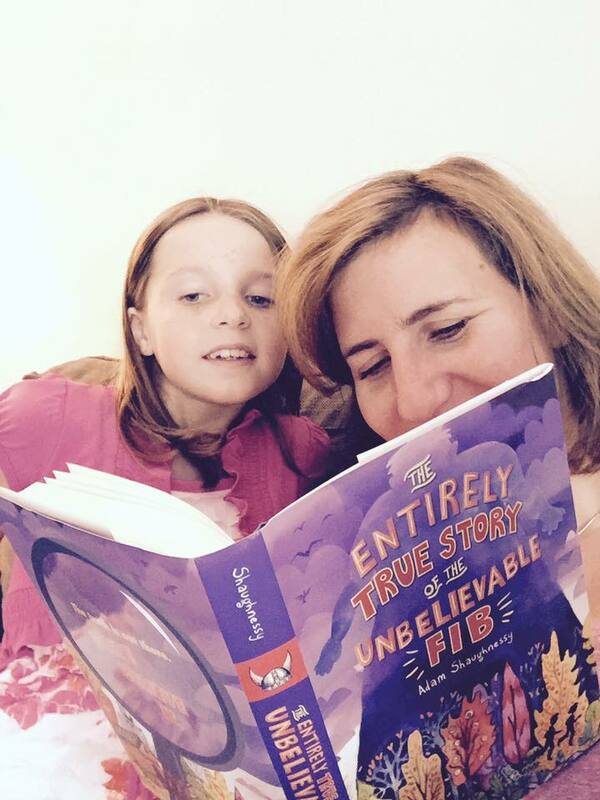 Here’s where you can buy a copy of The Entirely True Story of the Unbelievable FIB. And if you’d like to hear more about the enrichment activities that became The Entirely True Story of the Unbelievable Fib, click here. I’m a sucker for mythology, too! As far as the Norse myths go, I think my love for them starts with the cosmology of the stories. At the center of the universe of Norse mythology is Yggdrasil, a giant ash tree. Yggdrasil is so big it holds three whole worlds in its branches (or roots, depending on who you ask). There’s Asgard, the world of the gods; Midgard, the world of mortals; and Niflheim, the world of the dead. Each world is divided into various regions, but that’s the basic layout. That’s the stage on which the characters in the myths perform—and it is a vast and varied cast of characters, to say the least! Perhaps my favorite character, though, in the Norse pantheon is Ratatosk, the squirrel. Now, the fact that he’s a squirrel might not sound too impressive at first. But remember that the axis of this mythical universe is an enormous tree! And in the land of the tree, the squirrel is king. Well, okay, Ratatosk isn’t a king. He’s better. He’s a messenger. But according to the myths, most of the messages Ratatosk carries are insults. There’s an eagle at the top of Yggdrasil and a dragon at the bottom who hate each other. They send Ratatosk back and forth with nasty messages. This makes Ratatosk, for all intents and purposes, a talking insult squirrel. Another thing that fascinates me about the Norse myths is that they end. There’s a sequence of myths that tell how the Norse gods will die. They predict a final battle, called Ragnarok, between gods and giants. Most of the gods meet their end in that battle (though they take the giants and their villainous allies with them). If we consider that these stories were embraced by the fatalistic Vikings, then I think there’s a lot to think about in terms of the relationship between people and stories. To what degree do we shape the stories we tell, and to what degree do the stories we tell shape us? What are the parallels between FIB and Norse mythology? Interesting question! I enjoy myths in which the gods have flaws. I like to see my own imperfections reflected in the gods so I can see the struggles I have in life played out on a grand and magical scale (that looks a little vain in writing…). So perhaps it’s not surprising that there are parallels between the Norse gods who take center stage in my book and my main characters, who—in many ways—represent aspects of my own personality. Pru, for example, is hot tempered, like Thor. She’s also clever and more than slightly mischievous, like Loki. ABE is wise beyond his years and very observant, like Odin. He also loves riddles, though, so he’s got a bit of Loki’s cleverness in him, too. And Mister Fox? Mister Fox and Loki are cut very much from the same cloth: sly all over. What is the unbelievable fib? And if you can’t reveal, can you give us some round-about hints? Let’s see how well I can answer this without giving too much away! The book starts with a question: WHAT IS THE UNBELIEVABLE FIB? As the story progresses, my hope is that readers will discover different levels of answers to that question. On the surface, the “UNBELIEVABLE FIB” is an acronym—but I won’t tell you what for! But there’s another “UNBELIEVABLE FIB” beneath the surface. The book is a mystery. It’s not so much a Whodunit as a Whoisit mystery. The main character has to identify the villain’s identity. To do that, she must discover which one of her new friends is lying (or, shall we say, telling an unbelievable fib) to her. Finally, there’s another possible answer to the book’s initial question that deals with the main character’s emotional journey and the lies we so often tell to children—sometimes (though not always) with the best of intentions. I’ll let readers identify that “UNBELIEVABLE FIB” for themselves. So…magic, right? Norse magic? Or something else? In The Entirely True Story of the Unbelievable FIB, beings from Norse mythology invade a small New England community. Not everyone can see these magical beings, though. Only certain people in the book can experience magic. And I have to ask about the giants, because I love giants. There’s a lot to love about giants, especially the giants in Norse mythology (and not just because they’re big)! The Norse giants are an intriguing group. By the end of the cycle of myths, they’re the villains. When Ragnarok (that final, apocalyptic battle I mentioned) arrives, the giants ally themselves with the most terrible monsters of the myths and wage war on the gods of Asgard. But here’s the interesting thing: there are many instances throughout the rest of the myths in which the giants and the gods get along just fine. They do more than get along, in fact. They become friends. They get married. They have adventures together. And yet, by the end of the cycle of myths, they’re mortal enemies. The character of Loki encapsulates this dichotomous dynamic and violent progression. Loki is a giant who lives among the gods. He is their friend and ally in the early myths. He is Odin’s blood brother, in fact, and Thor’s frequent traveling companion (and foil). By the end, though, Loki has become the embodiment of evil. He murders Baldur, Odin’s son, an act that sets in motion the events that lead to Ragnarok. And, in the end, he and his children lead the war against the gods.But why? Why do Loki and the giants go from friends of the gods to foes? I think that’s an interesting question. And, as it turns out, that’s the very question I address in the second book of the Unbelievable FIB series. So this seems like a perfect place to stop! Leave a comment, and be entered for a chance to win a copy! 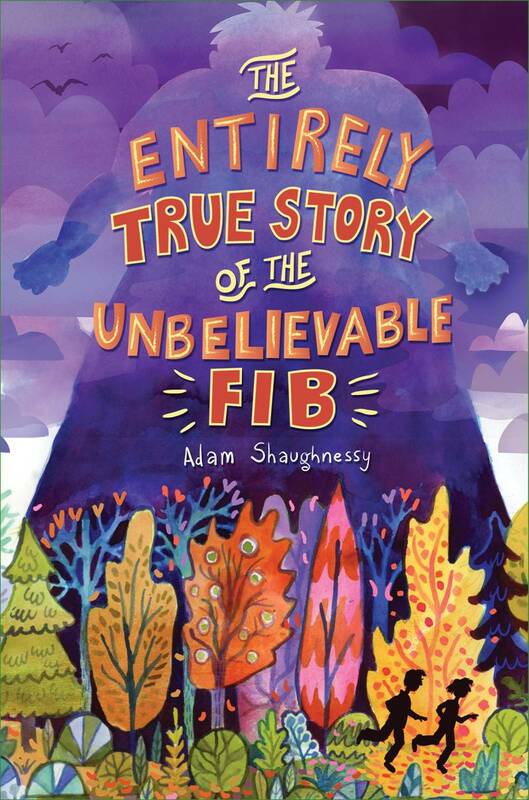 Here’s where you can buy your very own copy of The Entirely True Story of the Unbelievable FIB! !